Discover the treacherous origin of Killian, Fathom's original villain-turned-Elite Commander of the Blue! 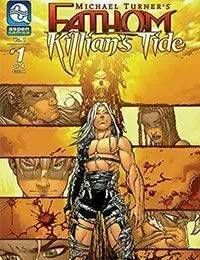 Years before the events of Fathom Volume 1 and his failed attempt to convert Aspen Matthews, a much younger Killian learned the true nature of rebelling against the Blue's resident Elite Council, as well as what it takes to motivate others to his cause, including his lover and future wife, Anya. However, the youthful dissident soon realizes the tremendous cost of such insolence and the bloody sacrifice that follows!